My Projects Log into My Projects to manage your projects & websites with AJIBOYE Monkey Business Agency. The Customer Guide to AJIBOYE Monkey Business Agency. All you need to know to understand what we do, how we do it, and how to use all the self-service tools available 24x7 to you in your AJIBOYE account. Projects are simply Monkey Business installations you have setup with us. Here you will find all your projects with us. You should have something looking like this. 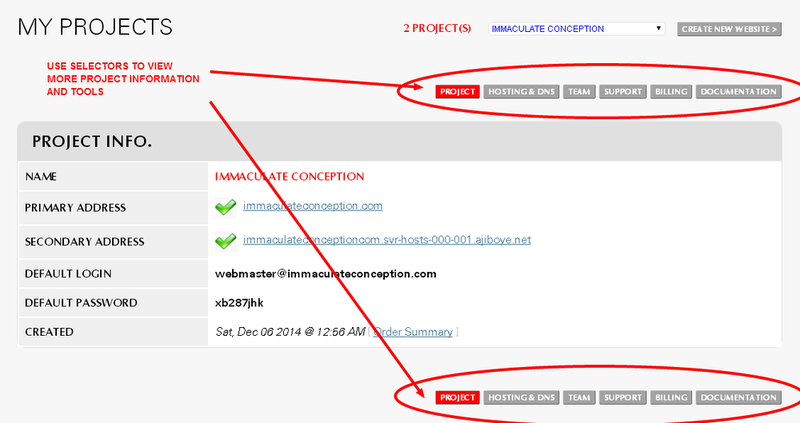 If you have multiple projects with us, you will see a selector for the project at the top right corner of the page. Project information is organized into different sections easily accessible by clicking on the selector buttons.